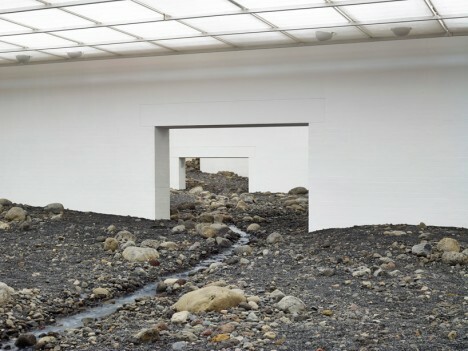 Art rarely gets as gritty and real as this, particularly in a gallery, with rocks, earth and water running through simple doors, between white-walled rooms and under uniform interior lighting. 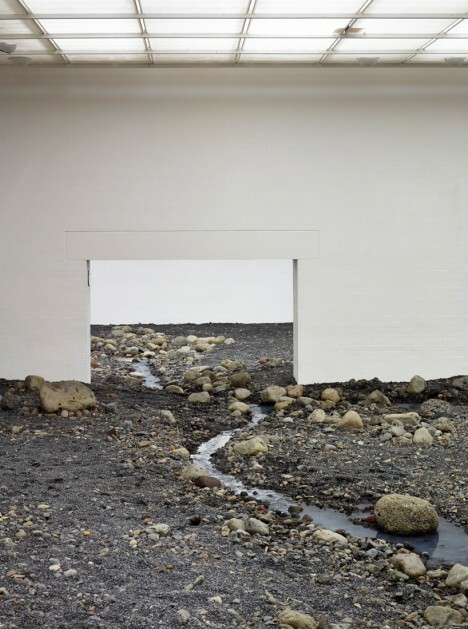 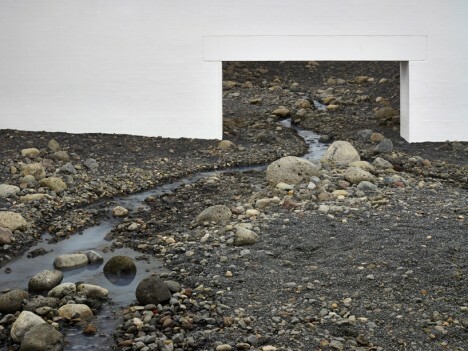 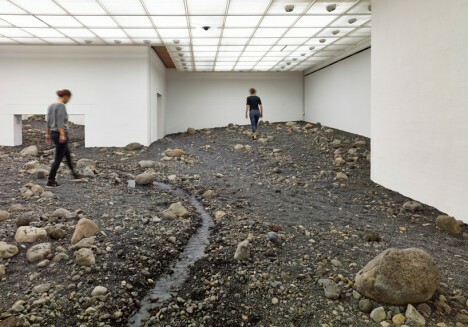 Olafur Eliasson, a Danish and Icelandic artist, created Riverbed as one of a series of installations for the Louisiana Museum of Modern Art in Denmark, challenging visitors to experience both museums and landscapes in new ways. 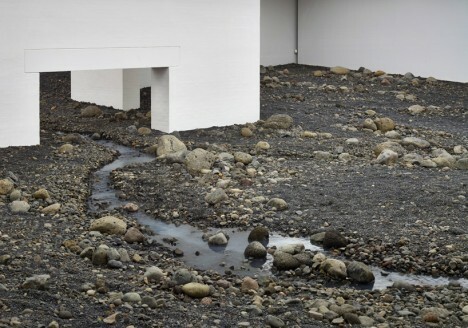 Meanwhile, the spaces become both intimate and perhaps uncomfortable as the earthwork slopes upward into ultimately-inaccessible areas. 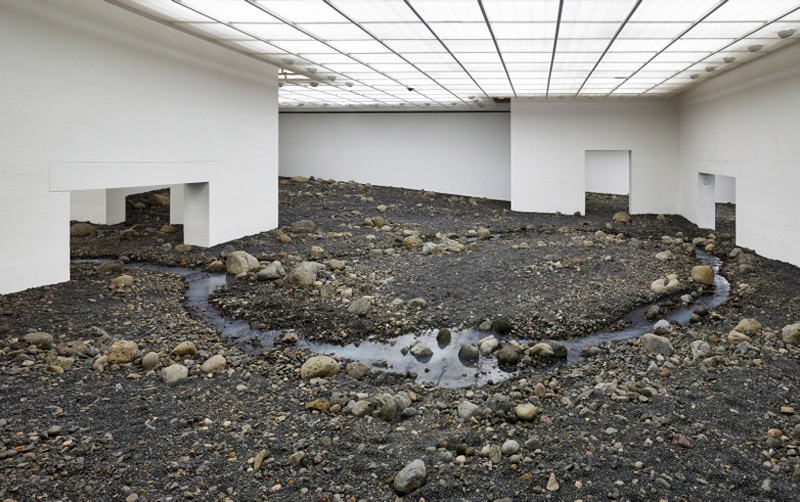 Traditional floor tiles slowly give way to a rugged landscape of stones and dirt, leading up to the sides of a real river inexplicably traversing the gallery interior. 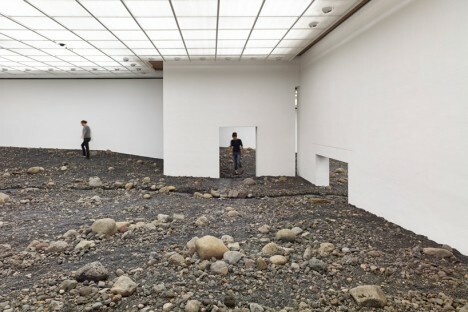 Aside from other references, the work is a nod to the sculpture garden that used to sit in the same spaces where this section of interior galleries now stands.